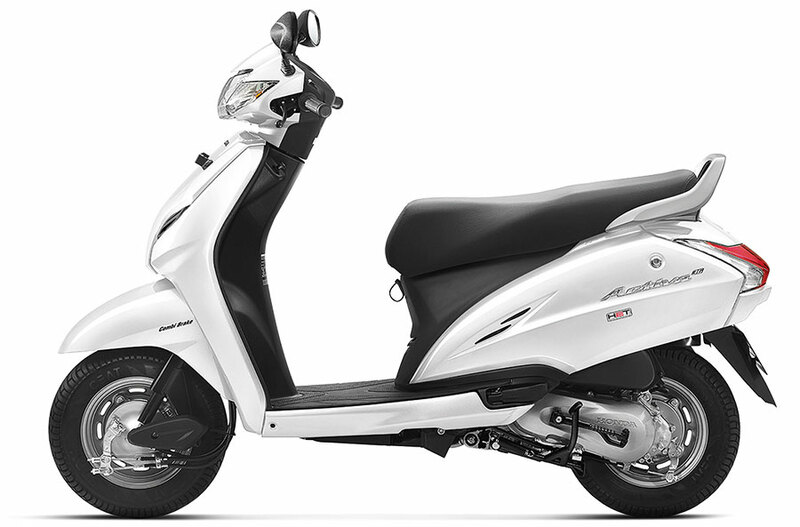 Get Honda Activa 3G for Test Drive! Provide your details so that we can arrange a test drive for you at your city! 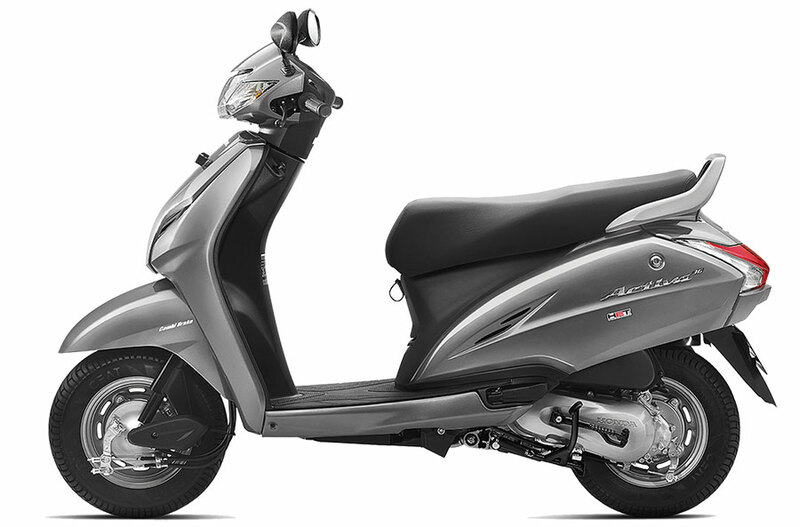 Honda Activa 3G is made available in Geny Grey Metallic color variant. Following photo shows Honda Activa 3G in Grey color with metallic finish. Also read: Scooters are growing faster than motorcycles! Another interesting color option available for Activa 3G is Trans Blue Metallic. This is how Honda Activa 3G looks like in blue metallic color. Now you have an idea about the Activa 3G colors, let us have a look at the performance side of Activa 3G. Activa 3G is powered by 110cc engine (4-stroke, SI ) which has a capability to deliver upto 8 bhp of power and a peak torque of 8.83 Nm. Both Kick and self start option is available and the scooter offers pretty good mileage. Honda Activa 3G weighs 108 Kgs and has a fuel tank capacity of 5.3 litres. The seat height is 765mm which is good for a rider even if he is short. Both in front and the rear, the scooter gets Spring loaded hydraulic type suspension. Honda Activa 3G is attractively priced at INR 50,219 (ex-showroom Delhi). We hope this article helped you in choosing the best Activa 3G color among plenty of options available. Which Activa 3G color would you select? Let us know by commenting below!